The Brunswick Men's Vapor bowling shoes have a sporty look and are set at a value price. The comfort features of these shoes are the padded collars and tongues and the extra light EVA outsoles. The slide soles on these shoes are Brunswick's Pure slide microfiber slide soles which offer superior slide out of the box. 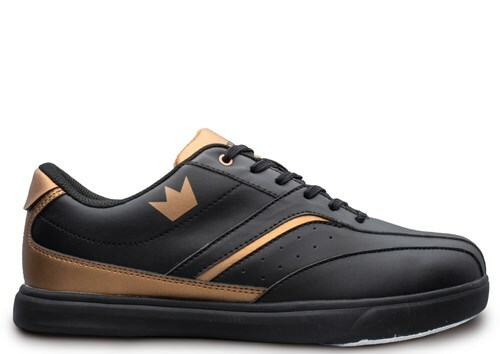 Due to the time it takes to produce the Brunswick Mens Vapor Black/Copper ball it will ship in immediately. We cannot ship this ball outside the United States.